Today’s post is a guest blog from Matt Baier of Matt Baier Organizing. My memory is poor. I mean bad. Oh, I remember stupid crap like cigarette ads on TV from the ‘60’s, but important stuff? I studied four languages and can’t remember ANY of them. So since I can’t rely on my memory, I rely on systems, so much so that I made setting up systems, my life calling, as a professional organizer. I find myself needing systems for everything and social media is no exception. 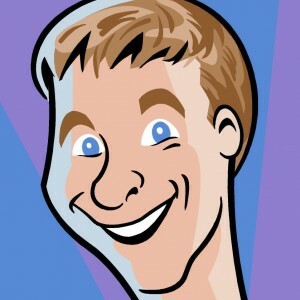 This guest post is really a testimonial for Brian Bish, my social media architect. I knew I couldn’t get social media to work for me unless I got an expert to set up a system for me. Brian started by getting me clear on what type of audiences I am seeking. For me, that’s mostly busy moms and realtors. He recommended that I go a little heavier on businesses and business groups on Linked in, non-business on Facebook, and everything on Twitter. That’s a loose guideline, not a rigid formula. Of course, rigid formulas are so much easier. They don’t require thought. That’s good for me. I figured I’d start with a formula and throw in loose interactions, when I have time for them. The answer to that formula can be summarized in two words: Hoot Suite. Brian impressed upon me the possibility of devoting just one small block of time to devote to social media every week. That really appealed to me, as I don’t have the time to be on social media ALL the time. An hour over a beer at Coalhouse Pizza every Sunday afternoon, allows me to cover my audiences with a carpet bombing of social media all week, thanks to HootSuite. With HootSuite, I can schedule posts on Facebook, Linked In, and Twitter from one source. Brian recommended a quote every day. Smart guy. Quotes always get a lot of responses. I choose to do quotes at 9:30am to ALL social media. Next up, something for the busy moms. 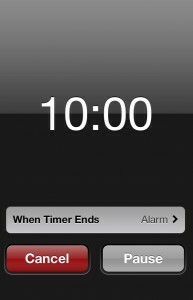 At 10:05, I schedule a post find related to parenting, time management, life hacks, recycling, etc. on Facebook and Twitter. At 10:30 I send out a general organizing blog, again on Facebook and Twittter. That’s where I will schedule my own bi-weekly blog. By the way, I always include Twitter in my posts. Brian says you can never Tweet too much. At 10:55 I always have something for the realtors on Linked In and Twitter. It will be a post related to home staging, real estate, architecture, unusual homes, or interior design. I will then do a retweet at 3:00 and 4:00pm. If I read a post at anytime during the week that inspires me, I will comment and interact with the poster. Brian tells me this is the most important part of Social Media. Yeah, I’m terrible at it. I suppose it’s because I don’t find anyone as interesting as me. Also, I’m lazy. Another great piece of advice from Brian that I ignore, is to comment on trending topics, which is a challenge for the terminally unhip, like me. I suppose realizing the problem is the first step. Oh, and hash tags, that’s so easy. Why can’t I remember to include hash tags on Twitter (and now on Facebook)? Oh yeah, it’s because I have a bad memory. Despite my social media shortcomings, I have had a couple clients tell me that the reason they hired me was because they saw me all over social media. Not too shabby. Now what did that cost me? (Come on memory!) Oh yeah, NOTHING. Well, maybe a beer at Coalhouse, but somehow I can live with that. I should add one final point, which is: get help. There’s a lot to know with this social media stuff and odds are very good that you’ve got better things to spend your time, energy, and frustration on, so trust your social media needs to an expert that will save you of all three. Trust Brian Bish. I do. Matt Baier is the owner of Matt Baier Organizing, who’s team of organizers, who can be relied upon to get you expertly organized, quickly but safely, throughout Fairfield and Westchester counties. Check out Matt Baier Organizing and see how they work. 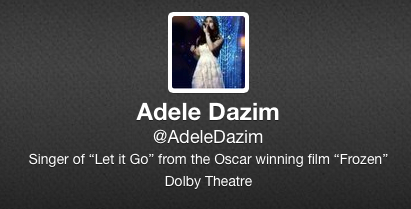 I always LOVE live-tweeting an event, and the Oscars last night did NOT disappoint! While all social media sites were on fire with commentary, Oscar Host Ellen Degeneres really brought Twitter to the forefront by posting pics and updates live from the stage and the audience. There were so many wonderful moments, but these ones made my Top 5. 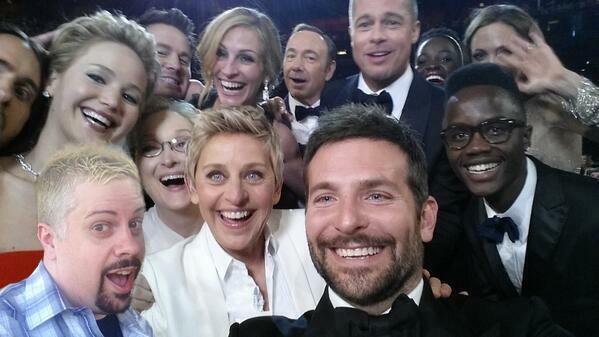 Ellen Degeneres made history with possibly the best selfie EVER! Why? Because this celeb-jampacked selfie included Bradley Cooper, Jennifer Lawrence, Meryl Streep, Brad Pitt, Lupita Nyong, Jared Leto (well, part of him), and several others. Ellen hoped she would beat the record for the most retweets ever, and she succeeded! (Even if she did crash Twitter for a couple minutes…) Over 2,500,000 retweets and still going! And yes, everyone online is getting in on the fun. Even yours truly. Last night marked the fourth time that Leonardo DiCaprio lost at the Oscars. And this time to Matthew McConaughey… (what? seriously?) While this is sad for Leo, the memes that have come out of this have been deliciously evil! Ellen had pizza delivered to the Oscars. I swear! She mentioned that the stars must be hungry in one segment, and in the next she ushered in a delivery man from Big Mama’s & Papa’s Pizzeria. The delivery man was NOT an actor (lucky guy! ), and the local pizza chain quickly jumped on Twitter to join in the fun. OK. So this one isn’t one you’ll see in the tabloids, but it’s just as important. The interaction of live-tweeting an event is EVERYTHING. Not only did I have lots of favorites, retweets, and some new followers. I had fun! And isn’t that what it’s all about? I always remind people that Social Media should always be SOCIAL! And it really was last night! In fact, I can’t wait for the Tony Awards to do it all again! So… what was your favorite moment from the 2014 Academy Awards? I don”t believe in New Year”s resolutions. Now I don”t mean “don”t believe in” like don”t believe in the Tooth Fairy or Santa Claus or GOOD country music (Oops! Who said that?). I just mean that I don”t believe in them because they never work for me. So, no… I did not make a resolution to lose weight in 2014. Nor did I resolve to get more sleep, make more money, or be a better person. Nope. These are all goals of mine that I will always strive for in my life, but they are not resolutions, because the moment I label it as a “resolution” is the same moment that I guarantee it will never happen. But today, on this first day of January, I will take this moment to reflect on the past year and to refocus my thoughts and my energy. Thank you to all of you who made 2013 a wonderful year. I truly believe that all of us have a responsibility to do our part to put more positivity out in the world. For me, social media has been a wonderful platform to do just that. While it is easy to get caught up in negative posts listing the failures of the past year, I prefer to look at the opportunity of the endless possibilities of the coming year. With that said, I challenge each of you to join me in sharing at least one positive thing on social media every day. So let”s do it! Share this blog on your Facebook, Twitter, or other social network and let”s make 2014 the most positive and special year yet! TODAY”S QUESTION: What will YOU do to make bring positivity to the world via social media? Thanksgiving wha? I blame the tryptophan! Today I’m feeling a bit more random than usual. I think I’ll blame the tryptophan. So here are some COMPLETELY random thoughts for today. Can you believe it? A winter storm on Thanksgiving interfering with holiday travel? RUDE! But thank you social media for the debate on the proper name for this storm. 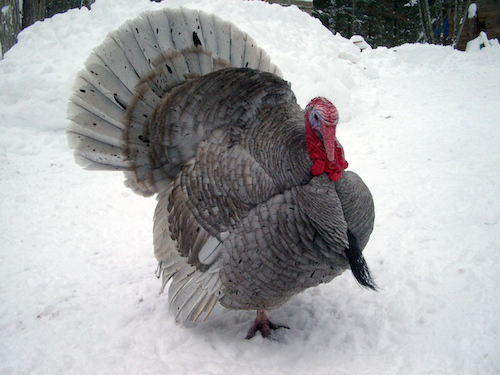 My vote goes to Gobblegeddon! If you know me, you know that I LOVE to shop. Like a lot! 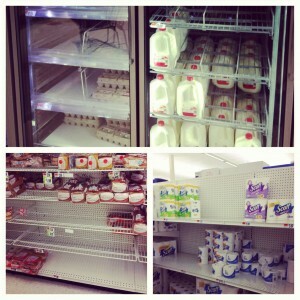 And even I am disappointed in so many stores for opening today and moving the Black Friday craziness a day earlier. In general I”m a big fan of change, but on this topic? Nope. Let”s have one full day to all spend with our families and friends! 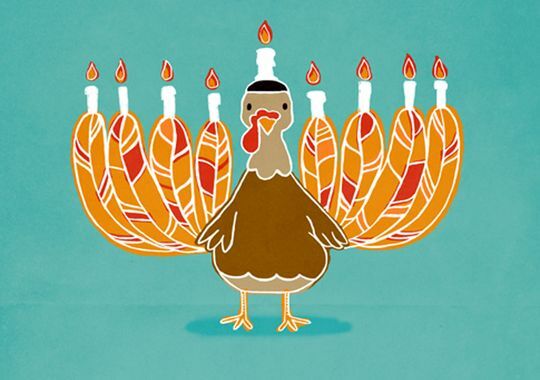 To my Jewish friends… Happy Thanksgivukkah! 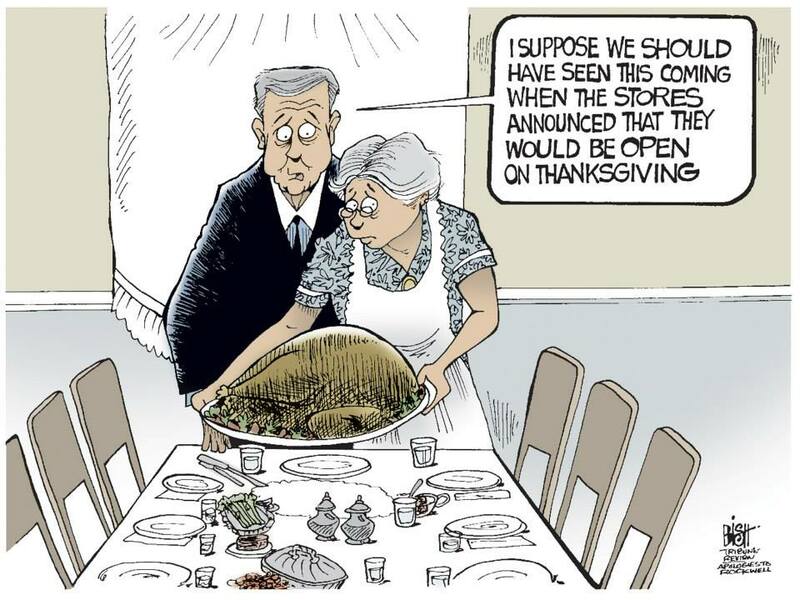 I mean, really… Thanksgiving and Hanukkah on the same day? What a celebration! As many of you know, I am STRONGLY against people posting pics of their food on social media. Seriously… unless you are a chef or a nutritionist? Stop it. BUT… in the spirit of Thanksgiving with today being a festival of food and love? Today you’ve got a pass. Go for it! 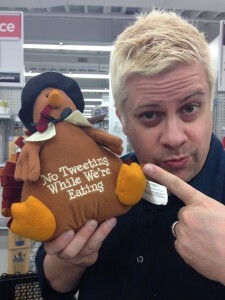 HOWEVER… No tweeting while you’re eating. Take the pics pre and post-dinner, but when you’re at the table? Put the phone DOWN and enjoy the company of the people you are with today. But most important, remember this. Life is short. None of us are promised tomorrow. So today… right NOW, remember who you are thankful for in your lives… and TELL THEM! Today I am thankful for SO many things, but I am especially thankful for all of you who allow me to keep doing what I love! Thank you and have a WONDERFUL Thanksgiving! Three TRICKS to Make Your Halloween a TREAT! Oh, how I love those words! 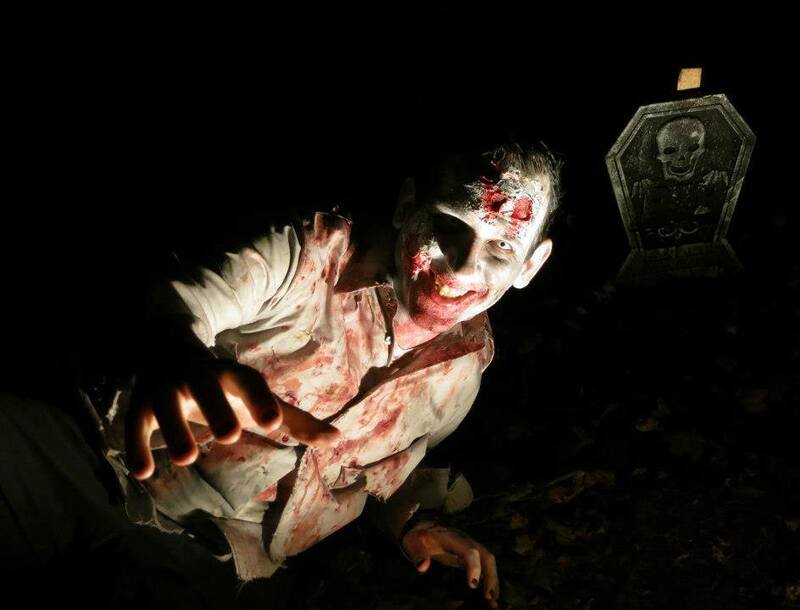 Seriously… without a doubt, Halloween is my favorite holiday of the year. Extravagant costumes, make-up, candy, and mischief… what’s not to like? Since we don’t yet have a way to download my favorite Reese’s Peanut Butter Cups online (Come on, 3D printers! Get on it! ), I’ve decided instead to treat you all with some social media reminders to keep the monsters away… Well, away from your profiles at least. Yes, we know that Halloween is the one day each year to be whatever you want to be. And TRUST me, I know very well that a scandalous costume is the BEST costume. But you DO know that everyone has a camera on their phones these days, right? You might want to check out the PRIVACY SETTINGS on Facebook and check the settings on who can tag you in photos. You want to be President someday? Well, you won”t be once THAT costume pic leaks! Here we are online… on social networks. You got that first word, right? Social? There. Now you”ve got a few tips to help keep your Halloween safe. Which of these tips was most helpful for you? Have your own tip to share? 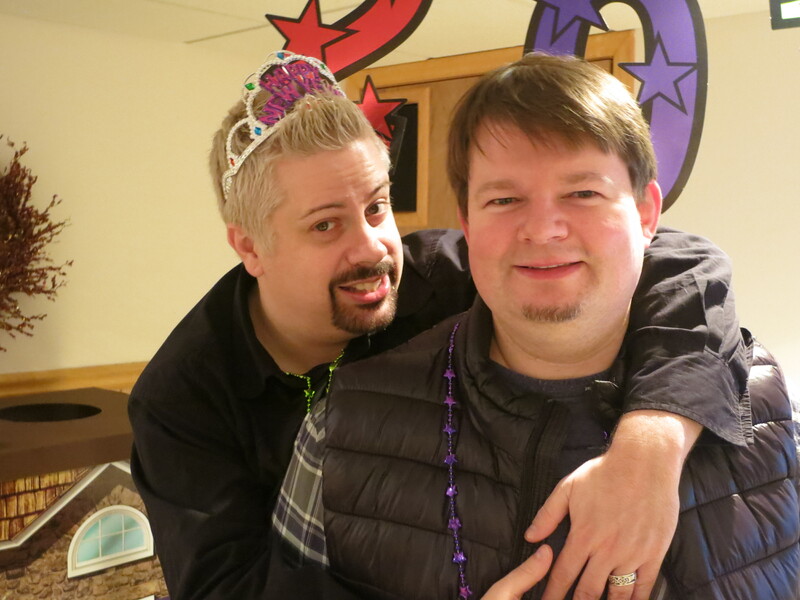 Last month, I celebrated my 40th birthday. I know… 40. It”s a big one, right? My birthday party was actually a music video shoot, and my friends became the cast and crew. I realize that not everyone likes to be in front of the camera, but I love how everyone was living in the moment in creating something I will always treasure. So what has 40 taught me? Life is short. Embrace it and savor every moment. Love yourself, surround yourself with positivity and light, and share this love with others! I laughed all through my party, and hopefully this will bring a smile to your face, too. THIS is how you make memories, people… Enjoy the video below! A typically cheerful group of troll dolls banded together to file a defamation lawsuit against online trolls. Astrid Hansen, spokeswoman of the new-formed Brotherhood of United Trolls (B.U.T. 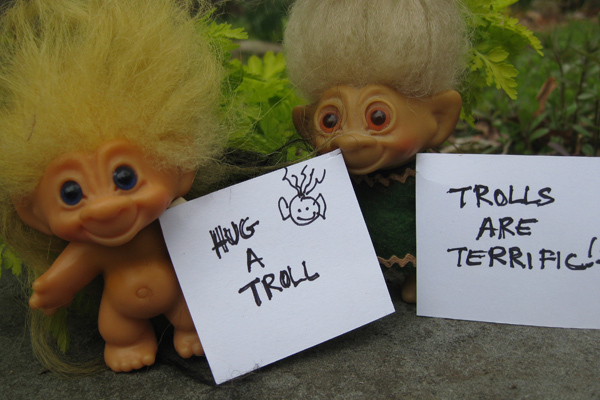 ), hopes that this symbolic legal action will raise public awareness of troll dolls and combat animosity towards trolls. “When this generation of Americans know the facts about trolls, they will cease to think of the word troll as synonymous with monster”. A Danish woodcutter named Thomas Dam created the original troll dolls in 1959. Mr. Dam was short on cash and made a wooden doll with a wild tuff of sheep’s hair & big glass eyes as a Christmas present for his young daughter. Once other children saw the impossibly cute imp, Dam began carving more. “Good Luck Trolls” quickly became popular throughout Europe. Trolls came to the United States in the early 60’s and were a huge fad during the mid 1960’s. The word “troll” became part of Internet slang sometime during the 1990’s. Online trolls are individuals who delight in posting provocative or inflammatory messages in online chat rooms, forums, blog comments sections and elsewhere on the interment. It must be noted that trolls were often maligned in Scandinavian folklore as well. B.U.T. hopes to educate a today’s children about the troll dolls’ happy origins and foster tolerance & acceptance. 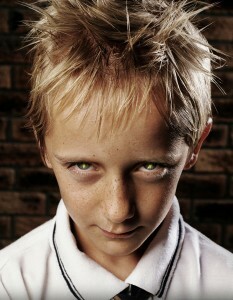 Head of B.U.T.’s PR initiative, Casper Eriksen, mentioned that it would be darn nice to start another troll doll craze. The soft economy has also affected their people. Thank you Wikipedia for the info on Troll Dolls and Internet Trolls! 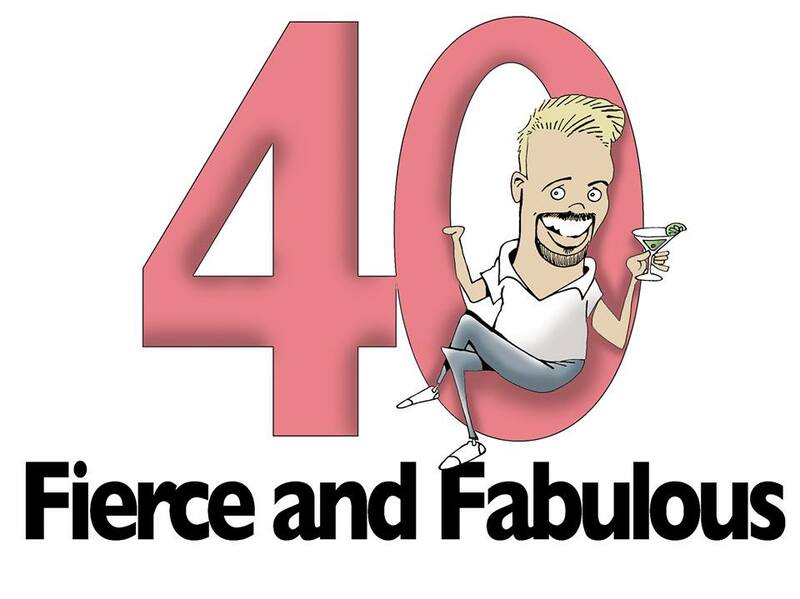 And thanks to Gay Gasser of Mirth in a Box for writing this super fun blog post! Gay Gasser is the owner of the Mirth in a Box. Mirth in a Box is the fun place to shop for camp, college and boarding school care packages and cheery get well gifts. Check her out on Facebook, Twitter, and also on Mirth in a Blog!!! MONDAY MUSINGS: Stop it, Miley! I didn’t watch the MTV Video Music Awards. Nope. No VMAs for me. Don’t get me wrong. I LOVE music. And I love a good awards show. But in my opinion, it’s been a long time since MTV has delivered a “good awards show”. So yeah… I’m pretty much at a point in my life where the VMAs just don”t warrant a timeslot in my schedule. Of course I was curious to see Lady Gaga’s performance. And yes, I was maybe even a little curious to see the *NSYNC reunion. (Don’t judge me.) But not curious enough to tune in to what has become one of the biggest televised train wrecks in current history. And THANK YOU, Miley Cyrus for reinforcing my decision not to watch. Duck Face is a horrible phenomenon, but Miley Tongue Face? So much worse. Every young performer will go through a period of rebellion where they try to declare their sexual independence. However, Madonna and (frighteningly) even Britney Spears did it much better. Miley Cyrus’ stylist was either on vacation or should be fired immediately. Her PR Agent obviously has forgotten about Social Media. Yes, I know that “There is no such thing as bad publicity”, but wow… That was SO much bad publicity that it sort of burned my eyeballs a little to watch it. Remember, we live in a world now where everyone is a news reporter. Just look at the sea of cell phones in the crowd. Remember to always be responsible for your actions. If you’re going to go a little crazy in the public eye, be ready for the backlash. Your fans (if you have any left Miley) will be waiting for your statement. Let’s see how this plays out. Oh wait… it’s Miley Cyrus we’re talking about. I just remember I have other things to do. Can 10 Minutes Change Your Blog? Earlier this month, my friend Matt Baier posted an inspirational blog on “The Secret to the 10 Minute Purge”. Matt is a Professional Organizer, and this blog gives some excellent guidance to breaking through your organizing barriers to achieve results. This really spoke to me as I sometimes fall in the trap of feeling overwhelmed with my own To Do List. But would this same concept work when applied to blogging? Could I write an actual blog in 10 minutes by focusing my energy and working within specific time constraints? Well, so far today… 5 minutes and 37 seconds have passed, so it’s looking good so far. Seriously. One of the biggest obstacles bloggers face is simply sitting down and writing. We often have ideas in our heads, but if we play the role of a perfectionist too much, our message may never get out there. So today, I encourage all of you who blog to try these steps. 1. Select your blog topic. Don’t overthink this. What topics are relevant to your field today? What have you been speaking about to your friends? I know, it may sound intimidating… maybe even counterproductive, but setting a timer for 10 minutes does help to break the barrier of “I don’t have time to do this.” We’re all busy, but don’t we ALL have 10 minutes to spare at some point in the day? This makes writing a blog completely manageable in your schedule. Yes, I borrowed almost all three of Matt’s points from his blog, but that’s because they work here, too! Don’t get caught up with the details of perfection. You can always tweak the blog later. But you’ll be surprised to find that you can write a blog in less than 10 minutes. And you can break through another obstacle that allows your voice to stay out there for your readers! 9 minutes and 26 seconds. DO YOU BLOG? If you do, try this and SOUND OFF IN THE COMMENTS BELOW to let me know how this worked for you!